with pinball at its fastest and most daring! 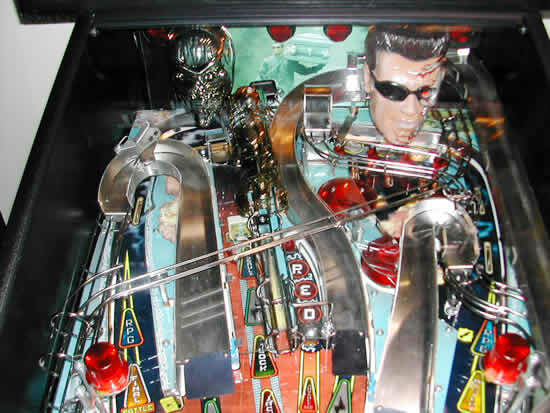 Steve Ritchie is one of the great pinball designers of the modern pinball era. He has created famous titles like Black Knight, Star Trek: The Next Generation?, Firepower and High Speed. 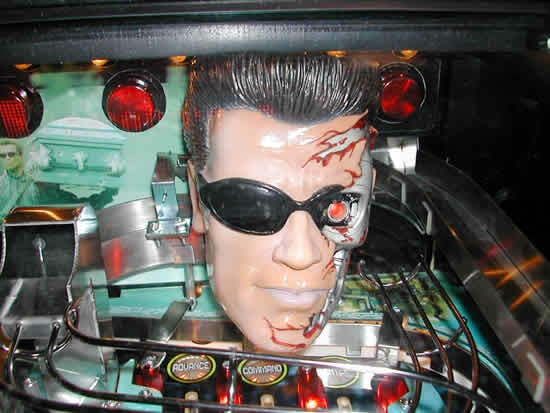 TERMINATOR ▪ 3: RISE OF THE MACHINES ▪ is Steve's first pinball design in seven years. 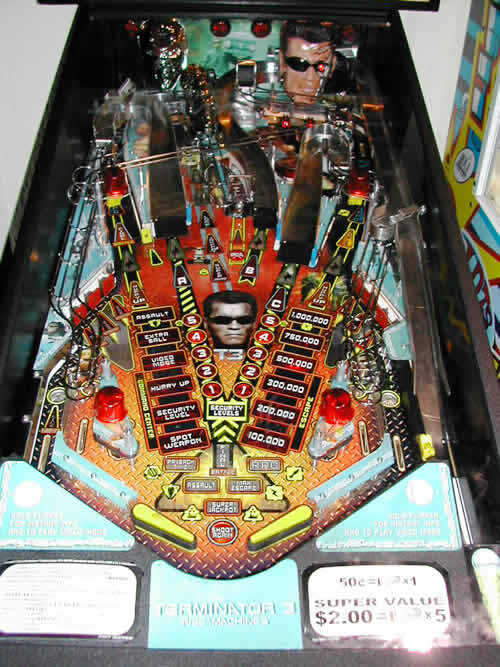 The TERMINATOR ▪ 3: RISE OF THE MACHINES ▪ pinball offers non-stop pinball action features, including a Rocket Propelled Grenade launcher in the backglass. This interactive mechanism fires balls into targets for high score and progressive game play. An interactive backglass mechanism has not been featured in a pinball machine for many years, and Steve has responded to player requests to have one! - New lane changing feature that creates more player-input possibilities. powers and beauty to match, she is the ultimate threat to humanity. Now Connor's only hope for survival is the Terminator▪ (Arnold Schwarzenegger). Together, they must triumph over the technologically superior T-X▪ and forestall the looming threat of Judgment Day?or face the apocalypse and the fall of civilization. the player more skillful control opportunities than any other pinball machine before it." player 'in the game' and wanting more." "With all stainless and chrome plated ball paths, the game should be lower maintenance and a better return on investment. Our back glass feature is unique and attractive, yet easy to play and follow. Scoring well rewards the player with incredible effects that impress the entire location. Gary Stern says, "Having Steve Ritchie design his first game for Stern fulfills a dream. He is a great designer, a designer that will advance pinball. And he is fun to work with!" 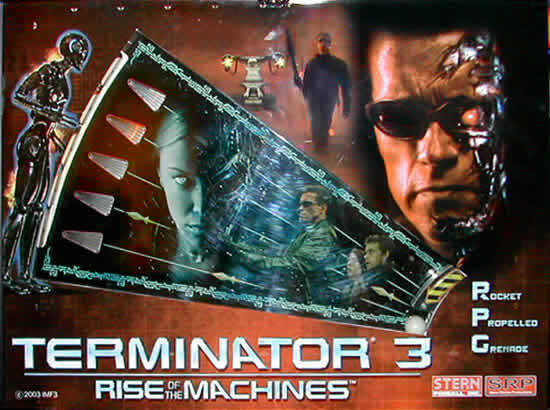 TERMINATOR ▪ 3: RISE OF THE MACHINES ▪ is available UL, CUL and CE approved, as applicable.